Download the Church Bell Soundboard and play inspiring hymns and ring bells for your friend's wedding. 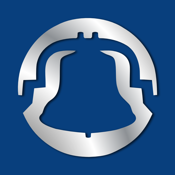 The beautiful music and quality bell ringing of the popular Chime Master electronic church bell carillon is now available for play on your mobile device. This free version displays promotional information about Chime Master's church bell ringing products with easy links to our website product pages.